Karina's Kreations: Shimmer Paint Resist Technique! 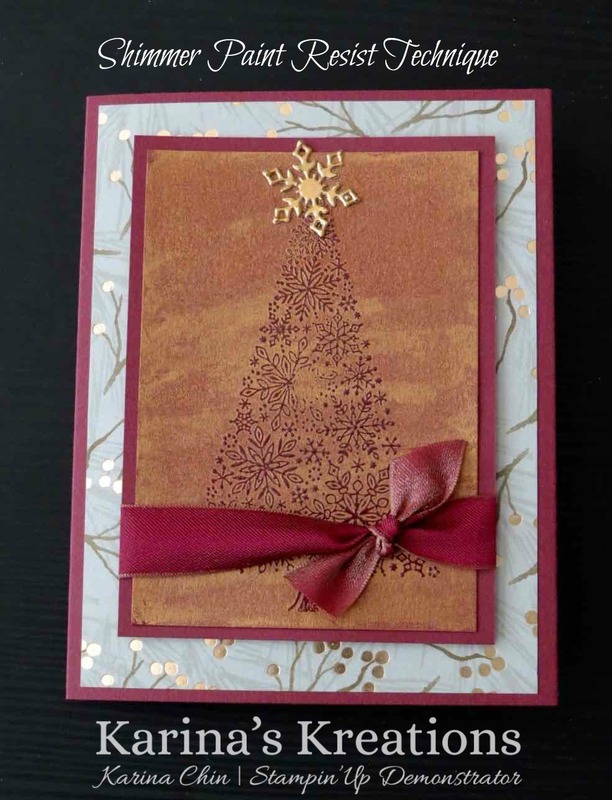 I wanted to share a Shimmer Paint resist technique with you today using the very special Snow is Glistening stamp set and Snowfall Thinlit Dies. This set is available now if you have a starter kit and on Nov 1 if you are a customer. 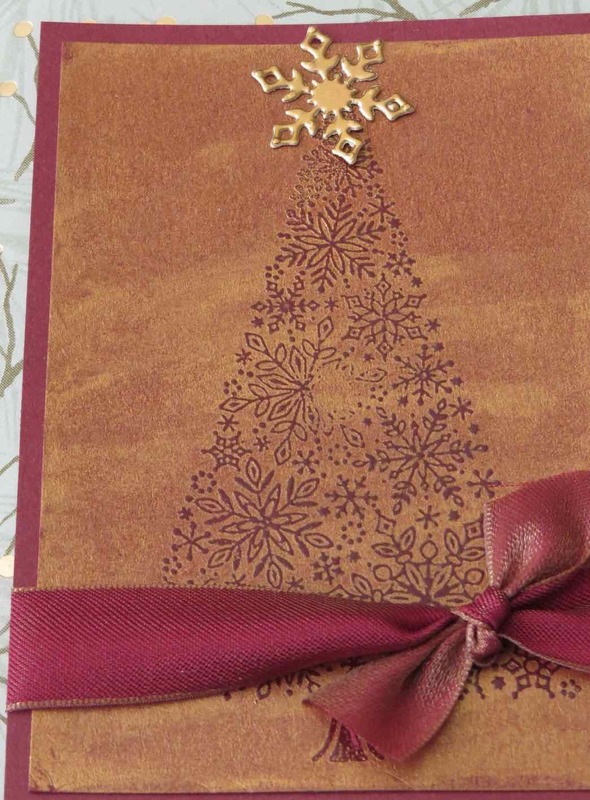 The technique is very easy, you just emboss an image with Clear embossing powder and wash Bright Copper Shimmer paint over the image. I made a facebook live video showing how to make the card. Click this link to go to Karina's facebook business page. Can't wait to get this stamp set? Get your stater kit HERE! Make sure to order your new stamp set and framelits as part of your starter kit. You will also get free shipping and GST. Here's the supplies to make this card. Click on a picture to place an online order.